In this guided tour costumed interpreters will walk students through our 1836 village stopping along the way in the Visitor’s Center, Chapel/Schoolhouse, Blacksmith Shop, Carpentry Shop, Manager’s House, and General Store. While traveling from building to building they will also draw your attention to various other points of interest. 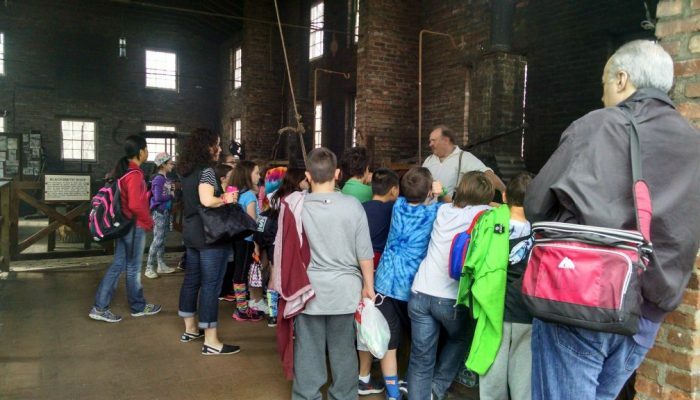 This tour will highlight what daily life was like in the year 1836, giving students a chance to see craftsmen practicing their trade and learn about occupations of the past, get a glimpse of a 19th century school day, and see how the lives of everyday people in the early 19th century differ from the lives we lead today. This 90 minute interactive program involves the entire class in experiencing an early 19th century classroom that used the Lancastrian teaching method, a system of mass education. Students will solve problems using slate and chalk and other authentic materials of the 1830’s. The session will include a recess filled with fun and games for both students and the young at heart. Moderns visitor are well warned to be mindful of the Schoolmaster’s rules while school is in session. Many an “unruly” student has worn the dunce cap or endured other unusual punishments of inconvenience as was popular at the time. School is in session in our chapel and students will learn firsthand what it was like to be a student in the year 1836. They will learn in the Lancastrian method always being mindful of the schoolmaster’s rules so as to avoid any unusual punishments of inconvenience. After their lesson have been learned they will head into the village to visit with the Blacksmith & Carpenter and decide for themselves who they think has the better job. 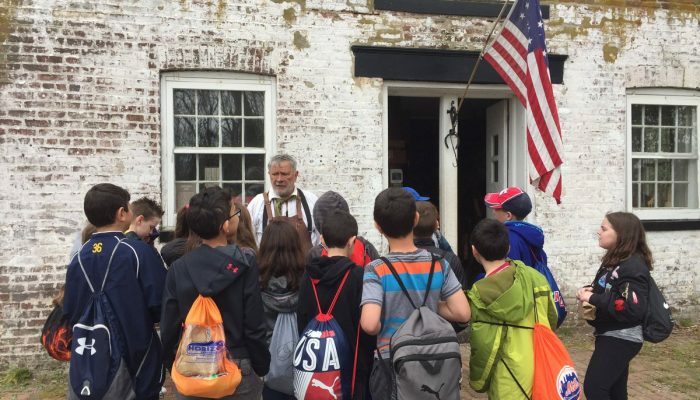 In the Manager’s House they will see how an upper middle class family lived will all their modern conveniences and they will have an opportunity to visit the mall of 1836, our General Store. 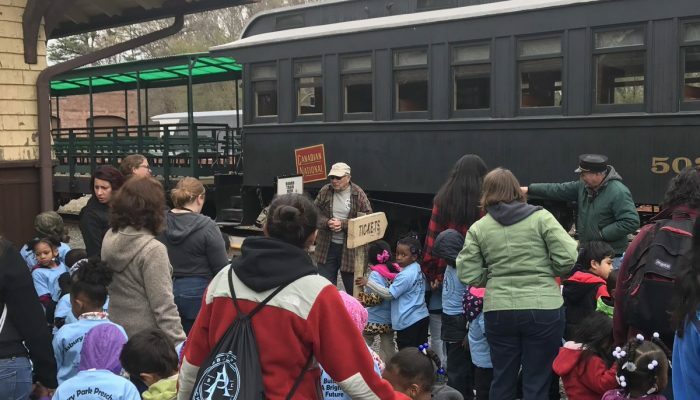 This 60 minute guided tour with costumed interpreters will make stops at the Blacksmith Shop and Carpenters Shop, then settle down for some story-telling followed by some old time games on the village green and finally take a ride on the Pine Creek Railroad. 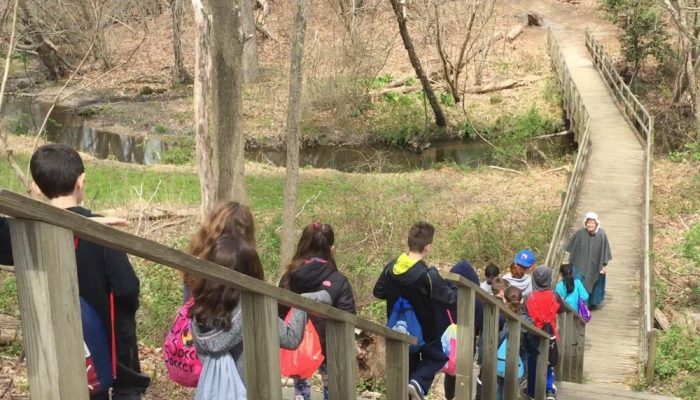 The Historic Village at Allaire is a registered 501(c)(3) nonprofit organization, licensed by the State of New Jersey to operate and manage the historic property located within Allaire State Park. Allaire Village does not receive state funding, and relies on donations, membership, and fundraising events to help fulfill our mission of preserving the history of this site, and educating the public about life in the Village in 1836. 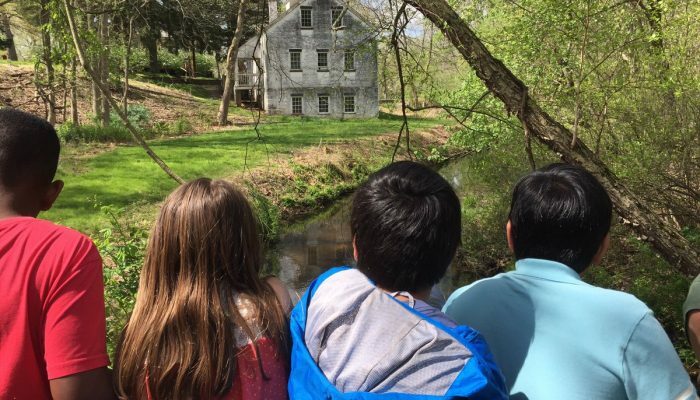 Donations to Allaire Village are tax deductible. COPYRIGHT 2017 THE HISTORIC VILLAGE AT ALLAIRE. ALL RIGHTS RESERVED.